The other day we saw Kamera, a tweak that gives quick access to the camera from the Notifications Center , but what happens when the notification center hinders us and become a nuisance? Sometimes it happens that you are playing a game and activate the notification center inadvertently breaks the game and lose the rhythm, a real hassle. With DisableNC + will not happen again, this modification blocks the notification center in the applications of your choice, you can do it from the settings of your iPhone, select the applications you want and they will no longer trigger the notification center even slips your finger vertically on the top of the screen, does not matter whether a game in full screen or any other application where mistakenly always active. 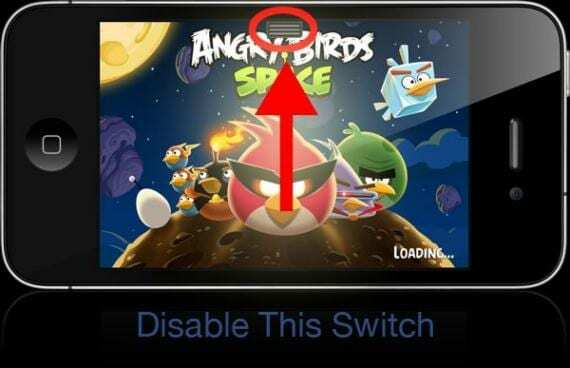 We saw a tweak while similarly named DisableNCSwitch, was free and directly while you were in a full screen application disabled the notification center, you could not choose but at least it was free. It would have to check whether it is compatible with iOS 6 because this tweak is over a year; let your experience in the comments. DisableNC + does support iOS 6. You can download DisableNC + for $ 0.99 in Cydia, you'll find BigBoss repo. You need to have done the jailbreak on your device. Article DisableNC +: Disable the Notification Center of your choice in Apps (Cydia) was originally published in News iPhone .